Esker Logging is located in Balmertown, near Red Lake Ontario. They are a local family run logging company. 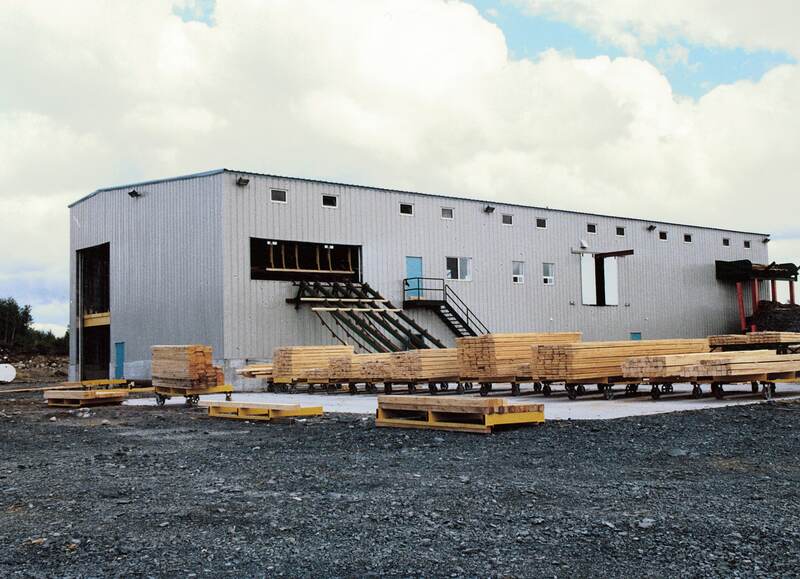 30’ high walls allow for two high stories in this sawmill facility. Specialized sawmill equipment cuts softwood harvested from the surrounding forested areas turning logs into 2”x4”s and into chipping to be used for paper. To support the heavy equipment, the second floor is constructed of structural beams, columns, 3” ga. galv. decking, and has a 30 MPa, 7” thick concrete floor. 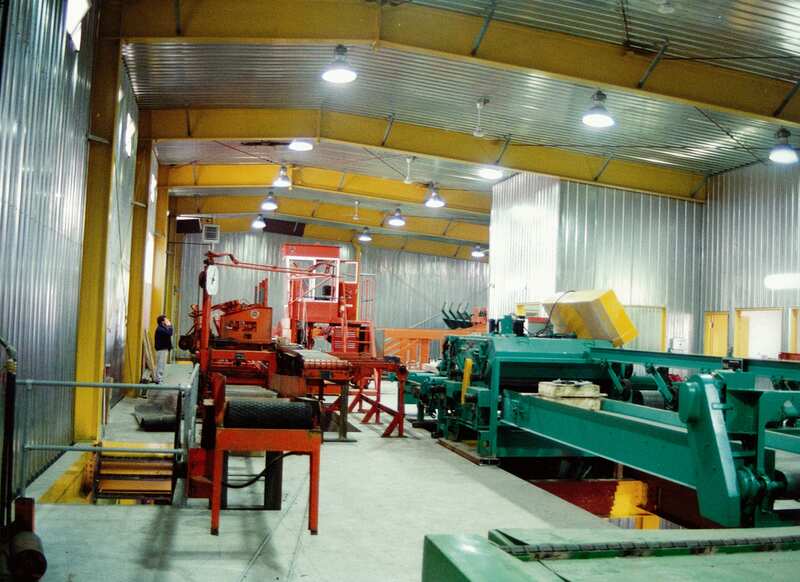 A protective galvanized liner lines the interior of the saw mill to full height. The interior also includes a foreman’s office, lunchroom/locker room, saw sharpening room, electrical room, boiler room, men’s and ladies’ washrooms and a sprinkler room.